It is two years since I decided I was going to do this and one month since I quit my job as a zoologist to do it. In recent days I realised the excitement I expected I would feel had been quashed by the stress and busy-ness of preparing to leave and loosening my ties with the life I have been leading. It almost felt like an anticlimax when I jumped on my bike and started on down the road. 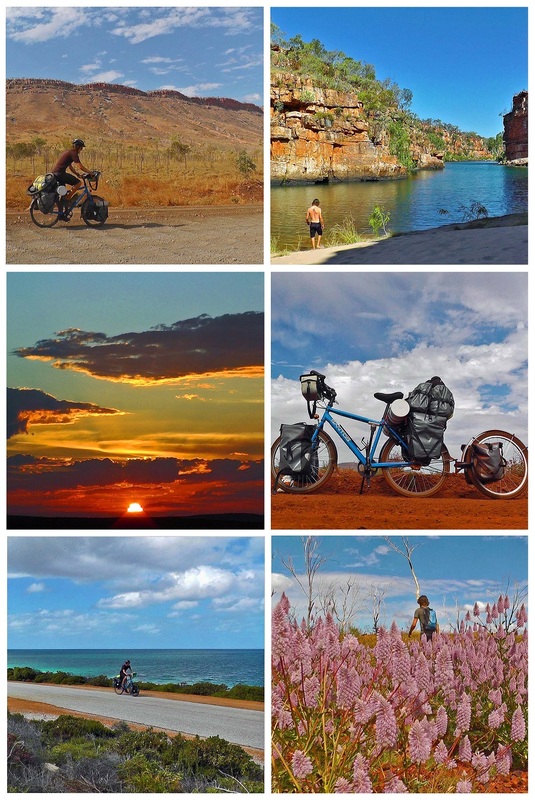 My mate Jayden had just dropped me off near Southern Cross in Western Australia and for the next however-long I will be cycling around southwest Australia as a prelude to my round-the-world journey. My up-tightness evaporated, however, when I turned my head to say a final bye and instantly sent my heavily-laden bike into an uncontrolled wobble. Jayden’s laugh was the last thing I heard before I hit the bitumen and looked to the horizon. I couldn’t help but let out a Whoooo! It’s finally happening after all this time. Here we go. New blog to follow. 🙂 I look forward to following your travels! Thanks Stephen. I look forward to following your impending journey too when it commences…and your smaller ones in the meantime. Doing two rides this year! One in May/June, and the other in November (that’ll be a little warmer!). Awesome! ‘Practice’ rides are so valuable to weed out any little problems and give yourself an easy chance to fix them. Where are you going to ride? Will you blog about them? Sounds awesome. Great causes too! And a nice reward in Adelaide 😀 I’ll be sure to follow along.